Yakub Saygılı and his coworkers, who carried out the December 17 corruption investigation, were taken into custody in the Silivri Prison where they were detained and taken to Istanbul Security Directorate on Vatan Caddesi. Many social media users have raised concern of risk of torture for Saygılı and his coworkers in the Vatan police station. Journalist-writer Ergun Babahan also wrote in regards to allegations of torture. Names close to the Hizmet Movement launched an anti-torture campaign on Twitter. 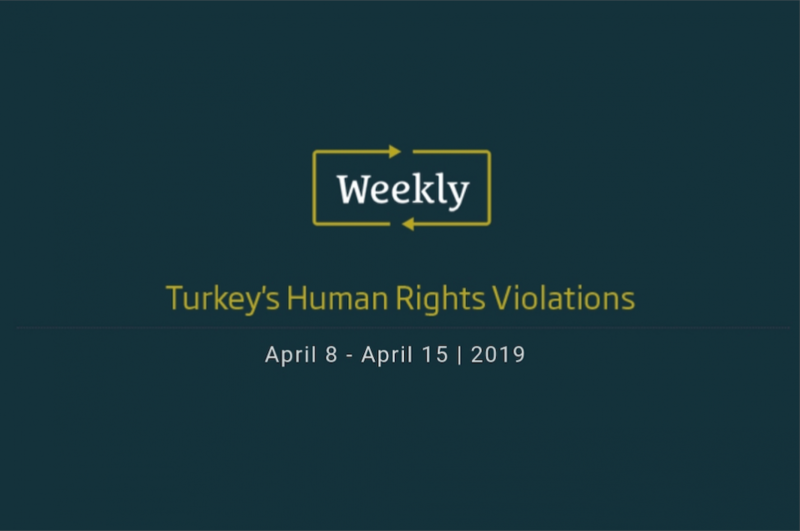 Yakup Saygılı, Yasin Topçu, and Kazım Aksoy, who were brought to the Police Department from the prison due to the ongoing Reza Zarrab case in America, can be subject to heavy torture. Babahan noted that members of the Hizmet Movement, minority and opposition groups are extremely polarized and demonized. Babahan indicated that “No one takes care of these people”. He concluded by saying “Torture is a crime against humanity. Everyone needs to stand up for the mistreated people and condemn torture”. One of Turkey’s leading broadcast journalists Cuma Ulus has been languishing behind bars for 482 days over social media messages that were posted by others. Turkish public prosecutor included a retweeted message sent by a news portal P24’s campaign to support journalists who were being tried with a hashtag “#BenGazeteciyim #GazetecilikSuçDeğildir [#IamJournalist #Journalismisnotcrime] as evidence of membership to an alleged terror group. Cuma Ulus, 42-year-old journalist, had worked as the managing director of critical Erzincan TV network until the government shut it down in July 2016. When he learned that his name was mentioned among dozens of journalists whose detentions were ordered, Ulus turned himself into a police station in İstanbul on July 25, 2016. The police raided his home early in the morning but could not find him because he was not home at the time. Ulus was formally arrested and placed in notorious Silivri Prison on July 29, 2017, over dubious terror charges and assertion that he poses a flight risk. The court ignored the fact that Ulus voluntarily surrendered himself to the police when he could, in fact, flee the country. He faces up to 15 years jail sentence if convicted. He was able to learn about the evidence of terror charges against him only after seven months later when the indictment was accepted by an İstanbul court. The politically motivated indictment failed to present any solid evidence against him. Instead, the prosecutor included social media posts, a text of remarks to a news agency and a bank deposit book. His son’s enrollment in a school affiliated with the civic Gülen movement is also mentioned in the indictment as an evidence for Ulus’ membership of “FETÖ”, a hoax terror organization that was fabricated by the regime of autocratic President Recep Tayyip Erdoğan to persecute government critics. Social media posts in the indictment that were presented as evidence of trumped-up terror charges include 22 retweets and 3 tweets. One of the posts Ulus retweeted was sent by a news portal, P24, which kicked off a campaign for tried journalists with hashtags of #IamJournalist and #Journalismisnotcrime. Ulus retweeted a message by a veteran journalist Derya Sazak on July 8, 2016, in which Sazak slammed criticisms against exiled journalists who faced arrest warrants. That was also included in the indictment. 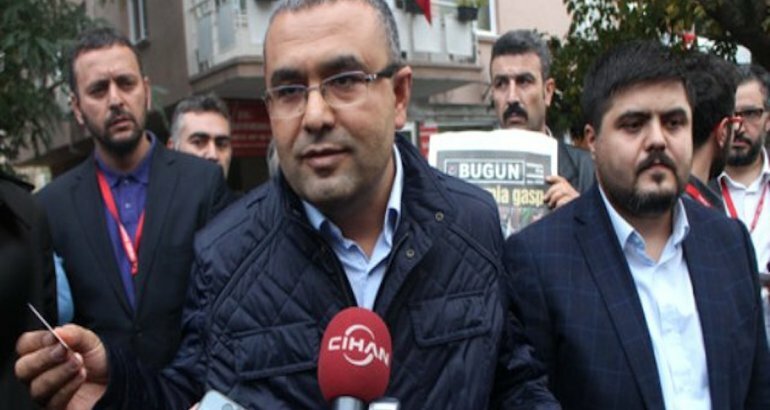 Another farcical evidence is the text of his remarks to Cihan news agency when Millet daily, in which Ulus was the coordinator, was raided by the police on October 28, 2015. The government unlawfully seized critical İpek Media Group that published Millet daily and appointed trustees in order to turn the prestigious media outlet into a mouthpiece of Erdoğan. The police attacked and detained a number of journalists who were gathering peacefully in front of the building to protest the unlawful seizure. Ulus commented to Cihan news agency that this was a dark day for Turkey and he had nothing but a pen. He told how the police got inside and broke the doors and windows of the office. “I have been a journalist for 21 years. Today a police officer handed my dismissal notice. I experience such a thing for the first time in my life,” Ulus added. This statement appeared in the indictment as evidence of spreading terrorist propaganda. Ulus appeared before judges for the first time on March 27, 2017. He started his testimony by underlining that he has been in jail for saying that journalism is not a crime. Ulus asked the panel if he should have said the otherwise. “I am asking prosecutor to tell me about what my prohibited act or conduct was? He simply replies, ‘I tweeted and made a statement’. This must be a joke!” said Ulus. He also expressed his confusion about why he was tried over the retweeted messages whereas the people who posted the messages in the first place faced no legal action if there was a suspicion that a crime was committed. Ulus concluded his testimony by talking about the last evidence against him, a Bank Asya deposit book which police found at his home. According the courts under Erdoğan regime, if suspect has a bank account at Bank Asya that is affiliated with the Gülen movement, which was one of the three banks with the highest liquidity in Turkey, that is also considered to be criminal evidence although the bank was duly authorized and licensed by the government until it was seized. The government unlawfully took over the bank on February 4, 2015, contrary to strict statutory banking regulations against such a drastic move. Ulus told he opened a bank account at Bank Asya in order to pay tuition fees for his son’s private school. The hearings in the case of Ulus and 24 other journalists lasted for five days. To the surprise of many, the court decided to release 21 journalists including Ulus at the completion of first hearings. The moment after the court’s decision was announced, pro-government journalists including ones from Aydın Doğan’s media group, pro-Erdoğan trolls and figures in social media kicked off a campaign questioning the journalists’ release. Before the court’s judgment to release journalists pending trial was executed, the government brought new charges. Thirteen journalists were told a new investigation on serious allegations of crime was launched against them despite the fact that they had been in prison for 9 months already. 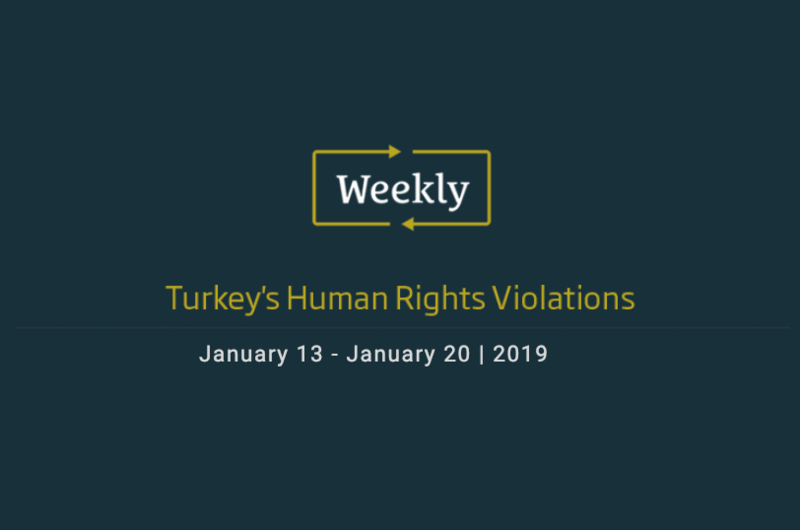 New detention orders issued and they were taken to the police station from the prison cell in a new cycle of processing that led them back to prison again with newly added charges. Ulus was one of them. The other 8 journalists who were ordered to be released were re-arrested after the prosecutor challenged the release order and the judge issued a new arrest warrant within hours without even examining their cases and hearing the defendants’ arguments. Kaya, unfortunately, was one of these 8 journalists. A few days later three judges who decided to release 21 jailed journalists were suspended by the Turkey’s judicial council the Board of Judges and Prosecutors (HSK). Ulus was re-arrested on April 15, 2017. The court ruled continuation of his arrest at two successive hearings on April 27, 2017, and July 27, 2017. The next trial will be held on December 4, 2017. Ulus started his media career as an intern at İhlas news agency in 1995. He worked at numerous TV stations and newspapers owned by different outlets; Kanal 9, CNN Turk, Kanal 7, Ülke TV, Kanaltürk, Tv8, Sabah daily and TGRT Haber. He was fired at Habertürk, a pro-government TV station after he covered news on the biggest corruption investigations that incriminated cabinet ministers and President Erdoğan’s family members at the end of 2013. After being unemployed for some time, he got an offer from a newly launched daily, Millet, run by İpek Media Group which was critical to Erdoğan regime. He became the news coordinator of the daily in 2014. However, that did not last long either since the government seized his media group on the eve of the first anniversary of the paper’s birth. He was the first one who was dismissed by the government-appointed trustees without any compensation and severance allowance. Ulus did not quit and continued doing journalism. He joined a modest satellite TV station Can Erzincan TV with his colleagues who were also fired by the government. Can Erzincan TV was also shut down by the government amid controversial coup attempt on July 15, 2016, as a part of Erdoğan’s escalating crackdown on the critical media. Ulus is married and has two sons. Turkey is the biggest jailer of journalists in the world. The most recent figures documented by the SCF has shown that 256 journalists and media workers are in jails as of November 21, 2017, most in pre-trial detention languishing in notorious Turkish prisons without even a conviction. Of those in Turkish prisons, 230 are arrested pending trial, only 26 journalists remain convicted and serving time in Turkish prisons. An outstanding detention warrants remain for 135 journalists who live in exile or remain at large in Turkey.